Give your brand a powderful lift. Looking to connect with active, affluent, and highly loyal winter sports enthusiasts in experiential critical mass? 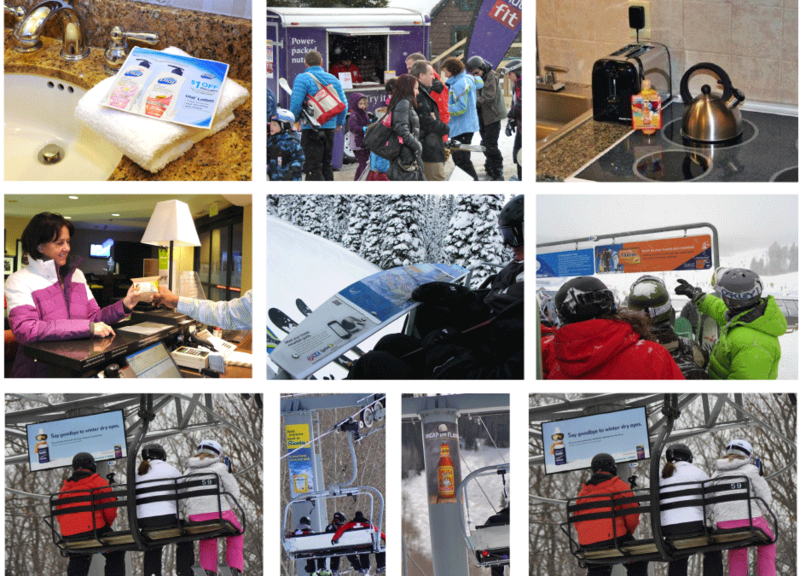 In partnership with Encompass Media, we are thrilled to bring you our Ski Resort Network™, the largest winter resort integrated marketing network, with 90 destinations nationwide. Give us your objectives, and we’ll put together a powderful solution to get your product in the hands of loyal skiers and snowboarders, from resort lodge check-in or in-room sample distribution to a full integrated media and digital campaign where you can share you brand narrative at the base, on the slopes, or aprés ski. Custom signage (varies by location). Dedicated research with Juster Scale metrics.